Fee: $45.00 which includes the class, brunch and bottomless mimosas! What could be better than a Sunday soulful yoga practice followed by delicious brunch at one of our favorite neighborhood spots? 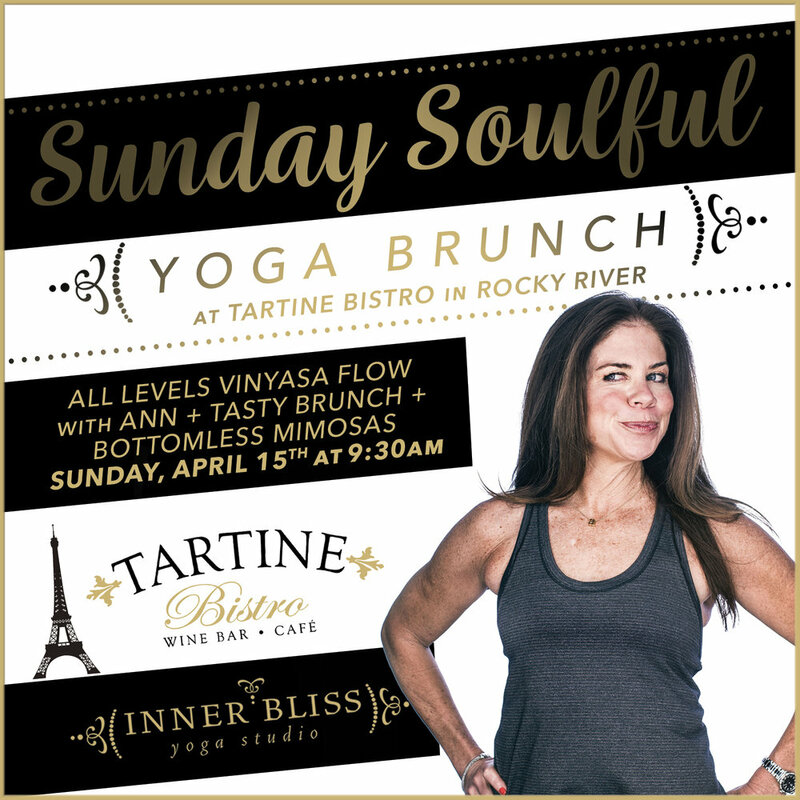 Please join Ann for an all levels vinyasa flow set to the perfect Sunday morning tunes, then stick around at Tartine for bottomless mimosas plus a tasty brunch experience cooked up in one of the area's most creative kitchens.